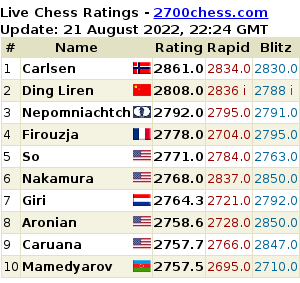 Amazing to see just how Magnus Carlsen held on to the No. 1 spot since July of 2011, almost 8 years now, and never looked back since then. I wonder how this kind of video will pan out in the future. 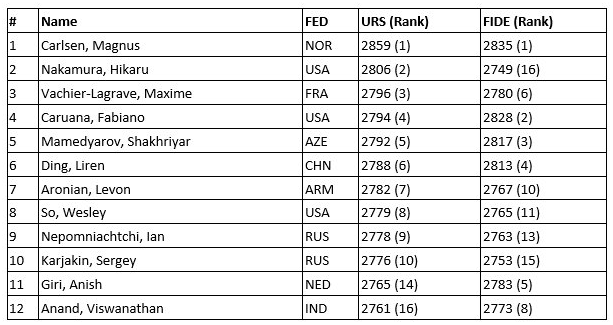 This is going to be a little tougher for Wesley So to enter the elite Candidates tournament now that he’s out of the Top 5 in the rankings. Shortly after the start, the first round of the Aeroflot Open has been canceled due to a bomb threat at the venue, Hotel Cosmos in Moscow. The round has been postponed until tomorrow. Scary! Now, even chess tournaments — at high levels that is — are subjects of bomb threats.